Here is another quick hint I wanted to get out there. 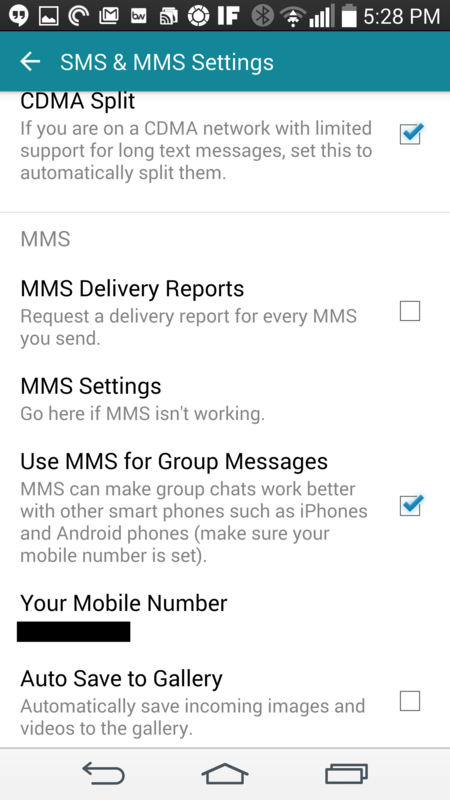 If you are a user of ChompSMS and you want to participate in iPhone Group Messages, there are a couple of options you need to enable. From the main screen hit the menu overflow item in the top right corner (the three dots). 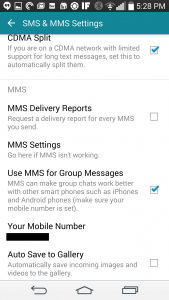 Select Settings and then SMS & MMS Settings. Under the MMS section, check the box next to Use MMS for Group Messages. Also make sure Your Mobile Number is set. 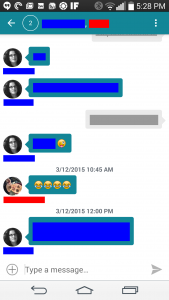 If you are in the middle of a group chat it will not fix past messages, but all future ones will appear as a separate list with all participants in it as shown above. This entry was posted in Technical on March 13, 2015 by Rick.